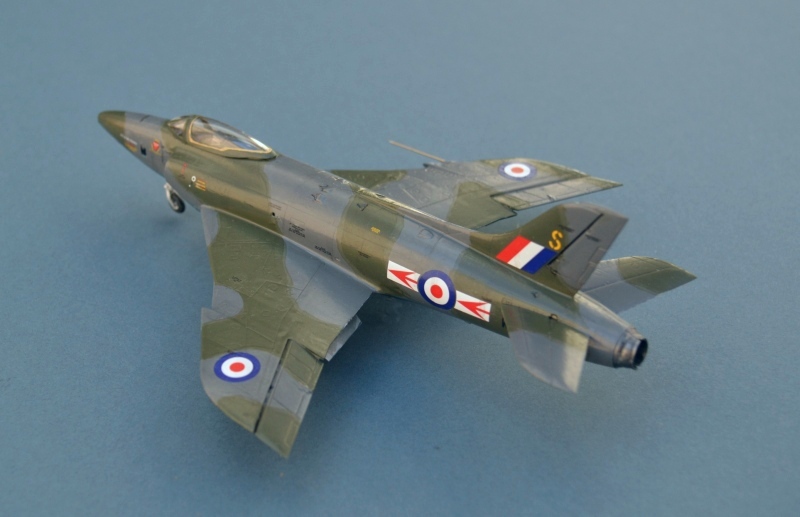 Release of this new mould Airfix kit was awaited eagerly, but initial issues proved to have flaws caused by mould damage. Repairs delayed re-issue by over a year, during which a little of the earlier enthusiasm had waned. Nicely moulded with fine engraved detail and excellent decals, unfortunately it is not the easiest of builds, particularly around the nicely detailed cockpit, instrument panel and front undercarriage bay, whose fit is very fiddly and very difficult to get right. Other than that, fit elsewhere is very good, although I had some problems seating the main undercarriage legs and needed a little filler on the upper fuselage joint and behind the rudder. The cockpit decals do not fit at all well, and the slightly brittle plastic that Airifx have used means that fine parts such as the pitot tube and control column are easily broken when removing from the sprue. Recommended for those with a steady hand and plenty of patience! 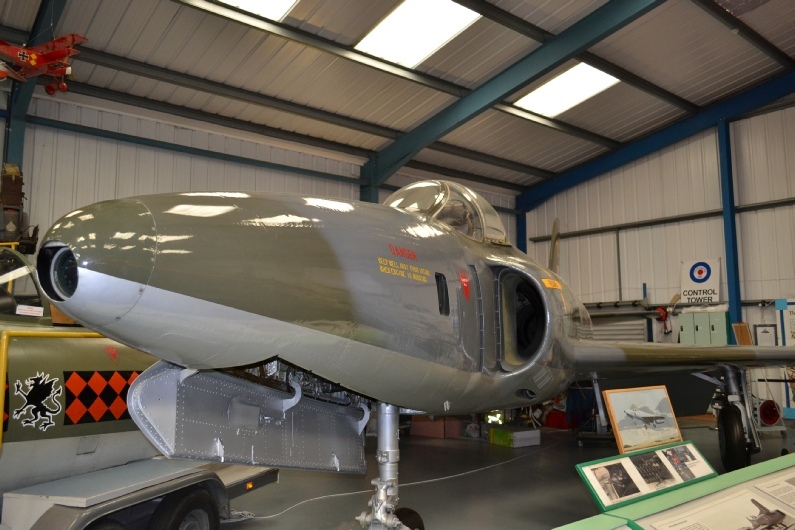 The Swift was always destined to be eclipsed by the Hawker Hunter, but the Air Ministry was keen to retain a second source should the Hunter programme run into problems, as it certainly did. 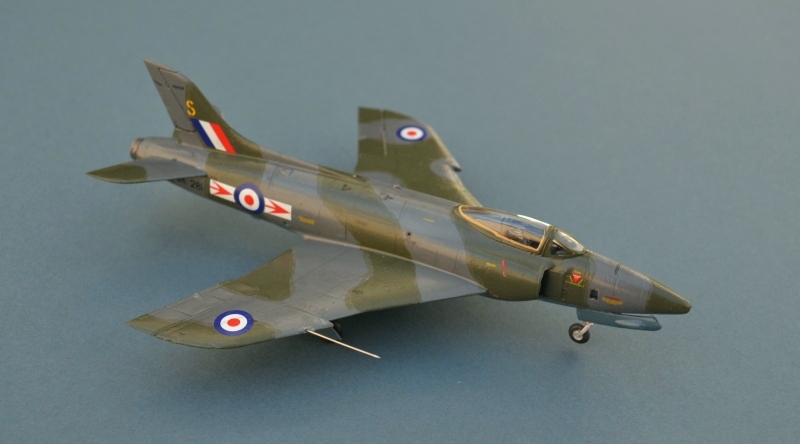 Developed from the Supermarine Attacker, with a pedigree stretching back through the Spiteful to the Spitfire, the Swift entered service in 1954, as the RAF’s first swept wing fighter. Despite considerable efforts by Supermarine, it too suffered serious development issues, not least a tendency to dangerous wing tip stalls when landing, requiring a redesign of the wing to include a distinctive saw tooth in the leading edge. 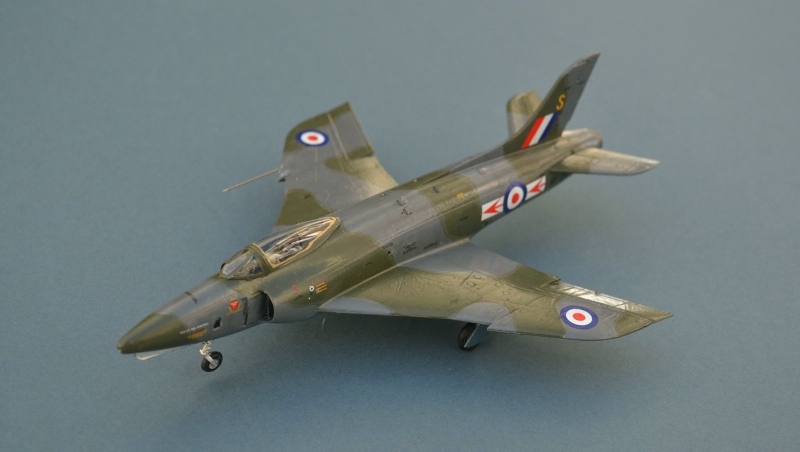 An uncured inability to light its afterburner at high altitude meant that its days as a fighter were limited, but the Swift quickly found a new role as a very effective low level reconnaissance aircraft, a role that it retained with 2 RAF Germany Squadrons until the early 1960s.